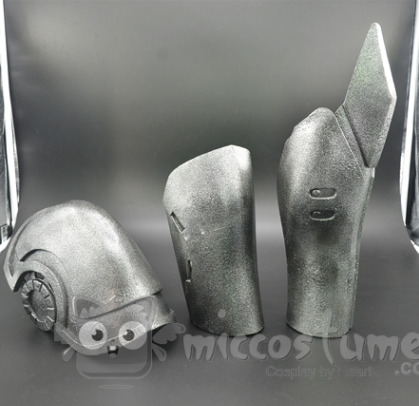 As we announced in a previous post, we were developing One Punch Man Genos Cyborg Arm, now time to check the outcome. 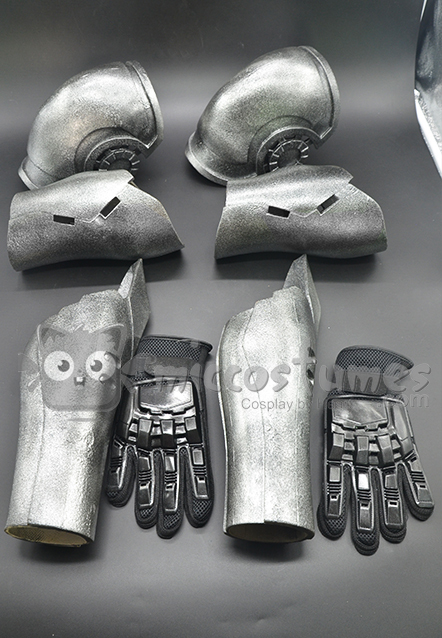 Full set armor has been developed including shoulder armor, upper arm and forearm pieces, as well as gloves. 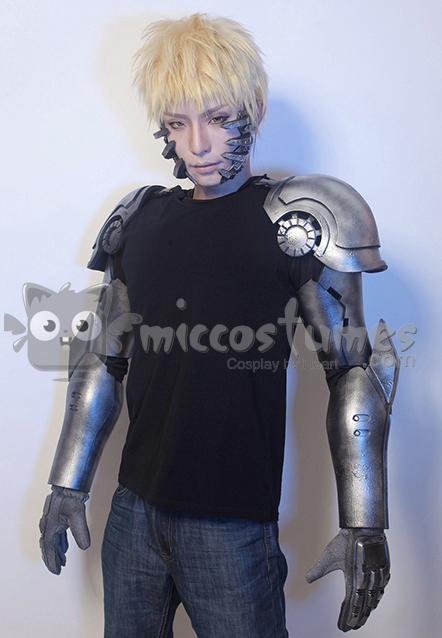 For New Year’s sale, we started a pre-sale event of Genos cyborg arm during Dec 29 2015 to Jan 12th 2016. If you are a fan of One Punch Man, It would be a pity to miss it. 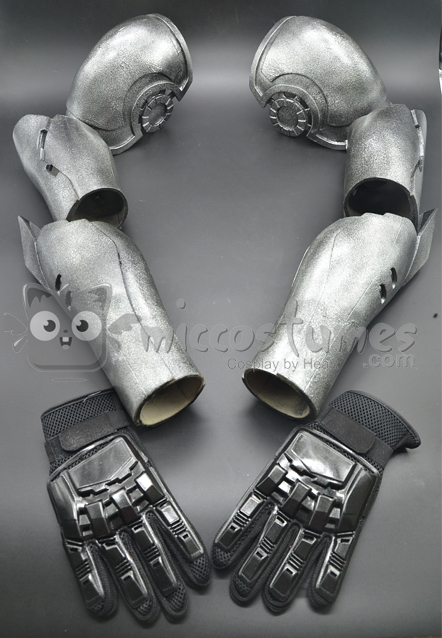 It is made from light weight EVA sheet, which allows for full range of motion. All armors are crafted by hand. 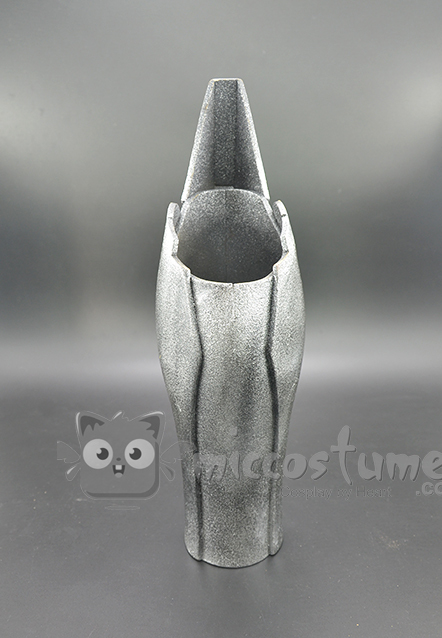 The accurate pattern drawing and cutting provide the armor of smooth lines and contour. 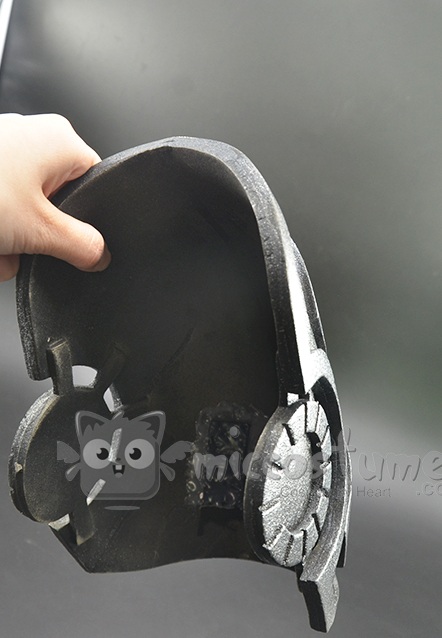 You can see how it looks on our model; it’s quite close fit while looking natural. 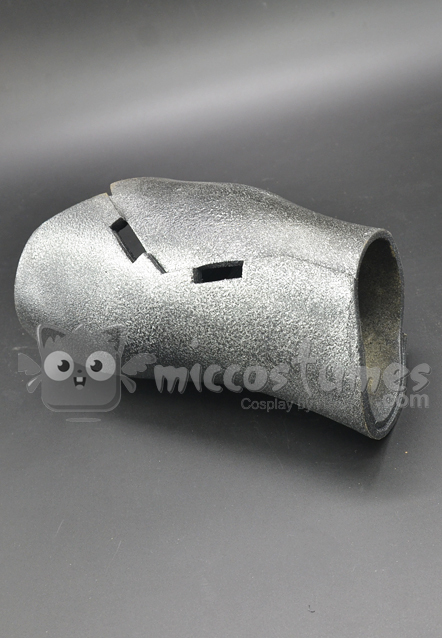 As to how to keep each piece in position, well, special built-in elastic Velcro straps are crafted to prevent slippage or looseness, which also allows cosplayers of different arm sizes to wear. 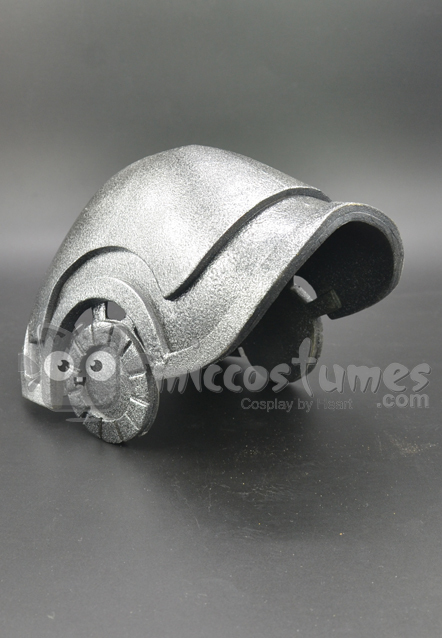 Moreover, two sizes are available for a wider range of choice. 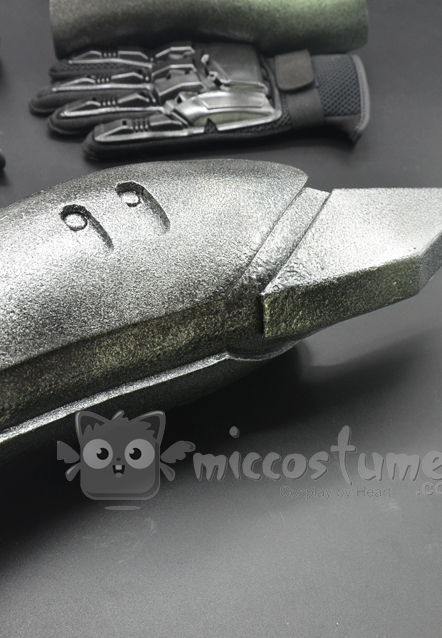 Metallic color is applied evenly without any fading problem. 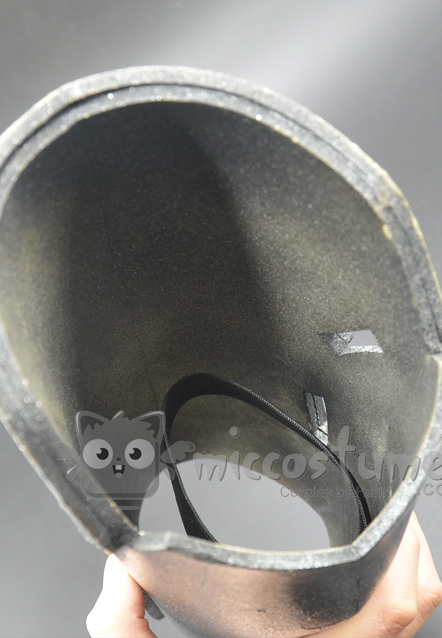 To revivify the figure in the anime, much attention has been paid to every detail such as seamless gluing, curve radian, hardness and delicate decorative parts. 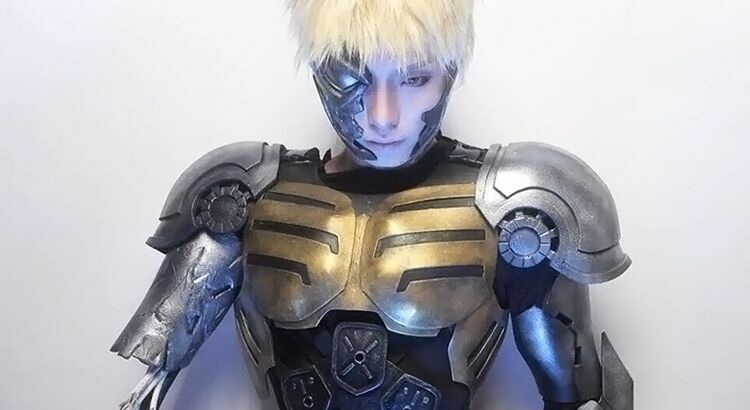 “I am willing to do anything to become more powerful”, Genos has been willing as always, how about you? 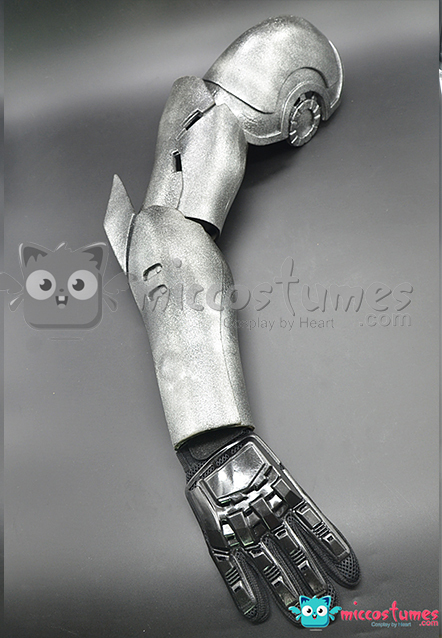 Details regarding the Genos Cyborg Arm pre-sale, please refer to Miccostumes’ pre-sale page. You may also find our making process to leran more about craft skills.